Developing retail commercial real estate requires a substantial investment of resources including money, property, and time. Keen developers are willing to commit these resources because they understand that the payoff can be well worth it. However, realizing a great return is often the product of prudent risk management. Fortunately, recent advances in technology and data analytics have ushered in a new era of risk management to an industry that has traditionally been grounded in subjective decision making. Brokers and developers can now streamline recruitment efforts, minimize tenant turnover, and create a retail environment that caters to the specific needs of consumers through the effective use of mobile GPS data. Mobile GPS data can be leveraged during the recruitment of new retailers to a development and can provide the foundation for early stage discussions with prospects. GPS data is used to develop core shopper profiles of the people that shop at the development and those profiles can then be compared to retail core customer profiles to identify best fits. This research presents an objective, data-driven approach to prospecting, but it doesn’t stop there. Quantifying the breadth and volume of competition within the trade area, the extent to which complementary retail is present, and the distance shoppers typically travel to shop at the development all contribute to making the case to a prospective tenant. Data-driven tools can be automated to produce reports with this information in a matter of seconds. Tenant retention is the other side of the coin when it comes to successful developments. Tenant retention starts with recruiting the best fit tenants from the beginning, since tenants will stick around if they are successful and foot traffic is high. Keeping high levels of foot traffic is directly associated with maintaining relevance with the shopper. Demographics and consumer preferences can change quickly in high growth markets. Moreover, attractive growth markets will bring in new competing developments. 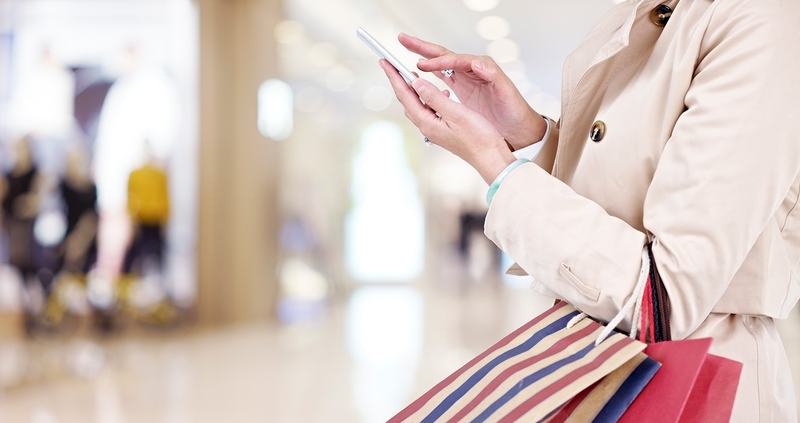 Mobile GPS shopper profiles will change as the development’s shopper changes and should be refreshed periodically. The updated profiles provide objective insights into customers that can drive contract renewal and rental rate discussions with existing tenants. Plus, it never hurts during rental rate discussions with existing tenants when you can prove that foot traffic is high. Shopper experience will drive the success or failure of a development. Of course, shopper experience largely depends on having the right tenants but also hinges on the ability to effectively engage with shoppers. Shopper surveys can be biased and rest on the assumption that the survey responder is answering truthfully and accurately. Mining mobile GPS data and combining it with other household-level datasets reveals objective information relating not only to the shopper’s demographic characteristics, but also to the behavioral and psychographic aspects of the shopper household. This level of information can inform everything from the types of events to hold at the retail center to the style of enhancements and furnishings to include. An intimate understanding of the different types of shoppers also enables more effective communication. Tailoring messages to different households based on preferred content and channel preference is an efficient use of marketing resources and is possible using mobile GPS data insights. Mobile GPS data is one of the many new tools in data analytics being leveraged by successful brokers and developers. The use cases are boundless and include applications in tenant recruitment, tenant retention, and shopper experience optimization. It’s important to understand that retailers are also leveraging this technology to understand whether developments are the right fit for their brands. Developers and brokers are at a severe disadvantage during negotiations if they do not have access to these tools themselves. The amount of resources deployed to build and operate a retail property are too great to rely on subjective insights. While technology and data analytics will never replace the relationship aspect of deal-making, they can enable more informed decisions and minimize the risk associated with a retail project. Is your current market research providing you with everything you need to recruit and support tenants? Buxton can use mobile GPS data to conduct shopping center analysis for developers and brokers. Explore our shopping center insights solution for more information.